A big part of the mother-butler (church assistants) responsibilities at the wedding mass is in the wedding processional or march. This starts with the orderly formation of the wedding entourage for the procession near the church entrance doors. This continues with the entourage marching down the aisle. 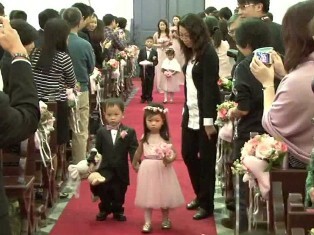 The mother-butlers then guide and usher all the part of the entourage to their respective seats. Recently, I've noticed that wedding coordinators are slowly taking over many of the tasks traditionally handled by the mother-butlers. 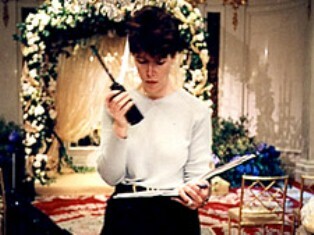 If the wedding couple has a wedding coordinator, the mother-butlers take it a bit easy. And these wedding coordinators, mostly ladies, now work in teams of about three or more. Nowadays, the wedding coordinators do much of the formation of the entourage for the procession. I suppose it is in their best interest to make the wedding processional as orderly as possible. Sure. But I'm also positive that having control on the positioning and movement of the wedding entourage guarantees them the best shots they need for the wedding photography coverage. For instance, in today's wedding, the usually busy-body mother-butlers were all now relaxing at the front pews. It was the team of wedding coordinators that was directing and giving instructions to the members of the entourage in the procession. They would stop gents-ladies pairs at certain points in the march for a brief pictorial with the photographers. Even the ushering of the members of the entourage to their seats was neatly orchestrated by the wedding coordinators. Before, the mother-butlers simply pointed the seats to the parents of the groom. The parents would naturally just position themselves at their seats facing the altar, leaving the groom to wait for the bride. Well today, the parents of the groom were not led by the wedding coordinator to their seats. Instead they were asked to stay with the groom. So it was now the groom and the groom's parents waiting for the bride and her parents. All the photographers were in one side of the aisle. It appeared like the groom's family were welcoming the bride into their family. It was a delightfully charming scene. Although it is not part of the church's official commentator's script, my introduction always include a brief welcome remark. There's nothing fancy or elaborate about it. I simply say, "Good Morning everyone, and welcome to the XXXXX Parish Church, here in XXXXX City." I announce this with my eyes on the congregation. And then I proceed to read the wedding introduction in the script. Why do I even announce that? For me, it's like a mini-icebreaker to make the wedding mass attendees feel welcome. By starting that way, they will be more at ease, relaxed and ready, knowing the wedding is about to start. Also, some of the wedding sponsors and guests may not be familiar with the name of the church or the area. Now, Fr. Marty also gives a brief welcome and states the name of the church. He has done this for a couple of times now before the start of his wedding homily. I suspect he has heard me welcome the attendees a few times and probably found it in good taste. 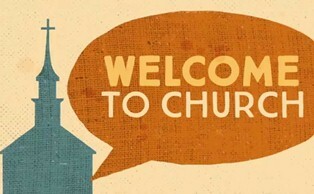 Hopefully, welcoming the churchgoers, especially the first-timers, will give a positive impression of the church.